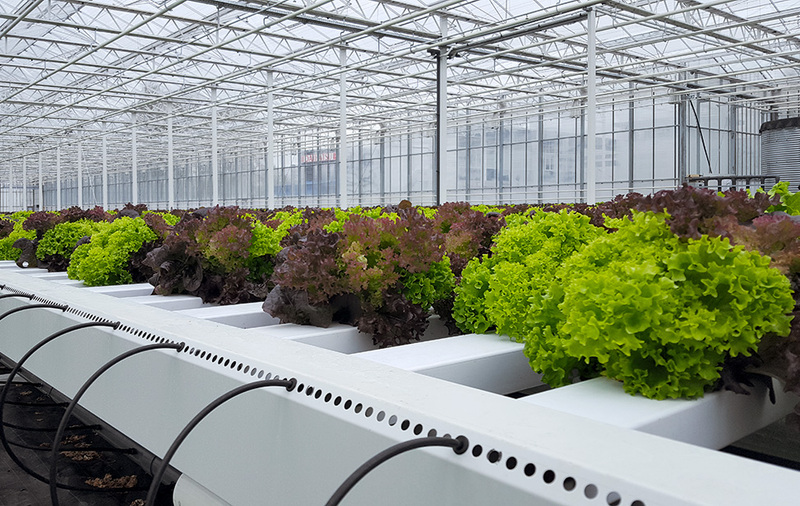 "Higher harvest and longer shelf life with moving gutters"
Codema has, based on their knowledge and experience, developed an advanced automatic moving gutter system for fresh lettuce, herbs, micro vegetables and baby leaves. The moving gutter system optimizes the harvest of the crops. The system can be adapted to the needs of the customer. Grower Meier Brothers explains: "Lettuce harvest is about four to five times higher with NFT." This system is more hygienic and saves water during cultivation and also during the cleaning of the lettuce for sale. The production process can be automated, which saves labor costs. Moreover, the product has a longer shelf life because the lettuce plants are harvested and sold with the roots attached. NFT provides a good return on the investment." Codema has tested the system, thoroughly. "Our customers can now count on a predictable, reliable harvest 365 days per year. We currently have different types of lettuce systems available: traditional banking systems, floating lettuce and (semi-) automated moving gutter systems."